Your Literacy Block Schedule Doesn't Have to be Complicated! Let the circus begin! That's how I used to feel right before the small groups/centers time of my literacy block stated. 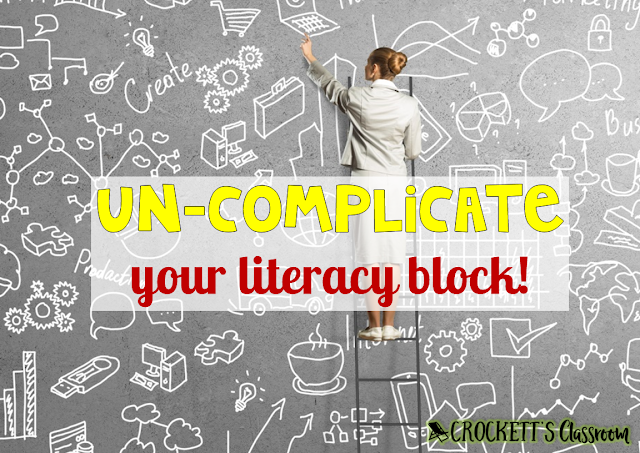 For years I followed the trend of having my students rotate through literacy centers while I met with small groups. Each rotation was 20 minutes because I wanted to meet with three small groups every day. If I was lucky, that 20 minute small group time ended up to be 15 minutes of instruction time after all the kids got to the table and materials were either handed out or collected. Then, that 15 minutes was frequently interrupted by the kids who were supposed to be working independently at the centers. I felt like my small groups never got my full attention. This system may work very well for a lot of teachers, but it just wasn’t working for me. I decided that something needed to change. But what? I didn't necessarily want to reinvent the wheel, but I wanted to give it an update. First I looked at what worked well. Ø Small groups: Working with small groups of students is important. They get short focused lessons that meet their needs. And, I loved the challenge of planning those lessons and seeing the little light bulbs flash on when they caught on to a new concept. Ø Centers: I looove centers. It's a time for kids to practice the skills that have been presented in class. Centers are one of the best times of the day when you can truly individualize tasks. Let’s be honest, we know we need to meet the individual needs of our students, but it isn’t easy. During centers, students can work on tasks specific to their needs without feeling like they’re different. Plus, I really like creating all the games and activities. That's my teacher fun time! What’s left? The rotation schedule! That’s what I hated, so I got rid of it! Sound crazy? Let me explain how it works. First, divide your small group/center time in half. So, if you have 60 minutes (the old 3 X 20 min. rotations) you now have two 30-minute blocks. Then, divide your students in half. Each group should be a mix of students based on achievement levels, boys/girls, behavior needs, etc. Forget about your reading groups for now. The kids from each group do not need to be in the same class group. Now you’re ready to start teaching! Well, I guess I need to explain a few things about this new way of running your literacy block. Read on . . . 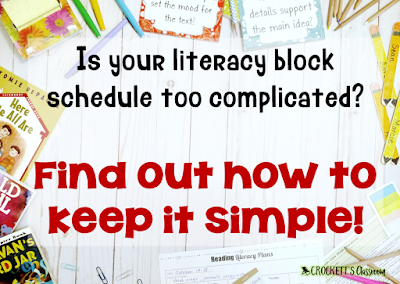 This block of time now has three sections- time with the teacher, reading activities and center activites. The reading and centers are going on at the same time the teacher is busy with groups, individual students, etc. During this block of time, students will be doing one of two things while you meet with small groups. 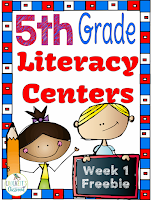 They will be working on reading activities or they will be working at literacy centers. 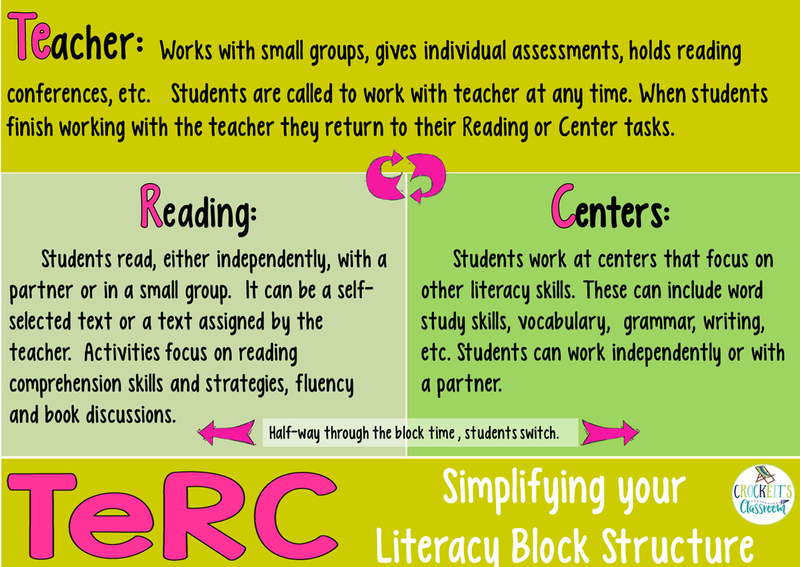 At the half-way point of the block time, the students switch, the ones who were reading move to the centers, and the students at the centers move on to reading. Simple! The kids only switch one time, which means more time engaged in learning tasks. Here are more specifics about each part of TeRC. The biggest change in this schedule structure is when the teacher meets with small groups. One question I get most often is "How do you meet with groups if the kids are scattered between the reading and center activities. Well, that was part of my AH HA! moment. I decided not to worry about where they were. When I was ready to work with a small group, I simply called them to join me at the reading table. They put away what they were working on and joined me for their reading group. They would have time, either later that day or the next day, to get back to those other tasks. When I was freed from the 20-minute rotation schedule, I found that I had more time to meet the needs of all my students. Taking away the time restraint allowed me to meet with a group for just a few minutes to check on their progress toward a week-long project, or work with a group for a longer time when they were struggling with identifying the cause/effect of events in a story. In between the group meetings I could wander around the room to answer questions or make sure kids were on task. Each day I knew which groups I wanted to meet with, so I wrote them on the board. But, I didn't write a meeting time. The kids knew that when called, they would join me at the reading table with their reading folder and book. When their group was dismissed they returned to their task. If the reading/centers time had switched the kids cleaned up their area and moved on to either the reading tasks or center activity. Read a self-selected book-- Kids usually read a book they picked for themselves, although sometimes I would assign a specific text. Then they wrote a brief journal entry to reflect upon what they had read. The focus of the journal reflection was a reading strategy. If we were working on drawing conclusions, the students had to write about a conclusion they made while reading their self-selected book. Fluency Partners -- Each week we had a targeted fluency skill (accuracy, phrasing, reading rate, expression, intonation, etc.) The kids would pair up and choose a book from the sets I made available. Then, they would take turns reading sections of the book to each other. One student was the reader while the other one followed along, paying attention to the targeted fluency skill. The listener would then give feedback to the reader, letting them know what they did well and an area where they could improve. The roles were then reversed. Partner Discussions-- For this activity, kids were put into small groups of 2 or 3. It's run a little like a book club. They all read a common text and had discussions at designated stopping places. The kids would decide how much to read before the next discussion, but I chose the discussion topic. The topics were based on the strategies we were learning in our whole-class lessons. The topics might be; summarizing, inferring and predicting, analyzing and evaluating, visualizing, etc. The kids were given a thinkmark with reminders or clues about the strategy so they knew what to be prepared to discuss at their next meeting. Sometimes, I also ask them to write about their group discussion in their journal. Reading Assignments-- Often, the students had an assignment from a reading lesson to complete. This might be an assignment from their small group or from a whole class lesson. I required that any assignment had to be completed before they went on to the other activities. Grammar Sorts-- At this center, the kids would sort a set of cards that went along with the grammar skill we were leaning that week. If we were learning about sentences, the sort might be sorting subjects and predicates. I always included a recording sheet so they had to write down the answers to the sort. This helped with accountability. Word Study Game-- These simple games focused on our word study skill for the week (prefixes, syllables, context clues, antonyms, etc.). I created a simple game board that would be used for several weeks and then switched out the game cards for each word study skill. For accountability, I had the kids write their answers on a recording sheet as they played. Writing-- Each week the kids were expected to complete a short piece of writing. They had to brainstorm, write the first draft and then edit and revise. By Friday the final piece of writing had to be turned in. 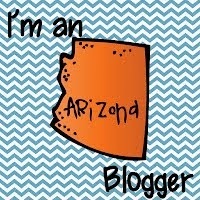 Check back next week for the next blog post about TeRC. I'll go into more detail about what the students do during the reading and center part of the schedule. I'd love to hear how the centers work in your classroom! 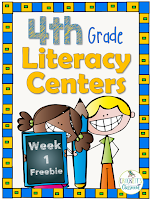 Take a few pictures of the centers in your classroom and share them on Instagram. 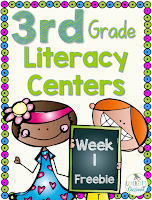 Tag me @crockettsclassroom and use the hashtag #3rdlitcenters, #4thlitcenters, or 5thlitcenters. 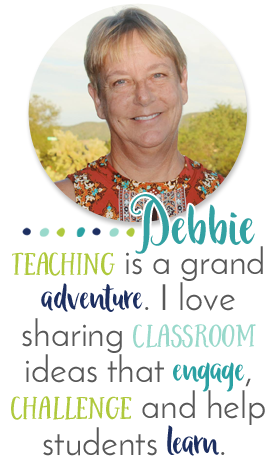 Each month I'm going to choose one teacher who shares a picture of the centers in their classroom on Instagram to receive a $10 TpT gift card!